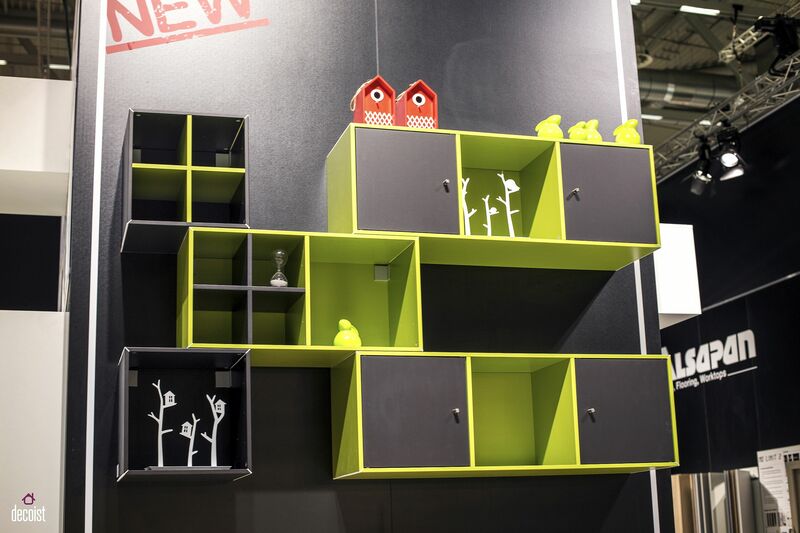 It is hard to shop for yourself while redecorating a room or even planning for a new home. 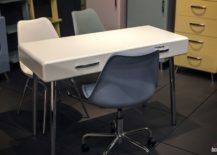 The task gets even trickier when you have to do it for others. 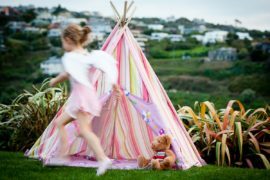 Add in the fact that it is for individuals who you love the most on the planet and are incredibly fickle with their choices and it can quickly becoming daunting. 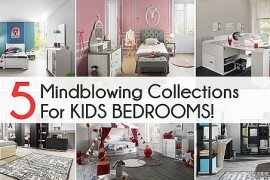 That is right; we are talking about decorating the kids’ bedroom. 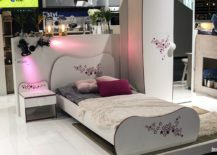 It is a delicate act of balance between what you want, what the little one longs for and of course, what the budget dictates. 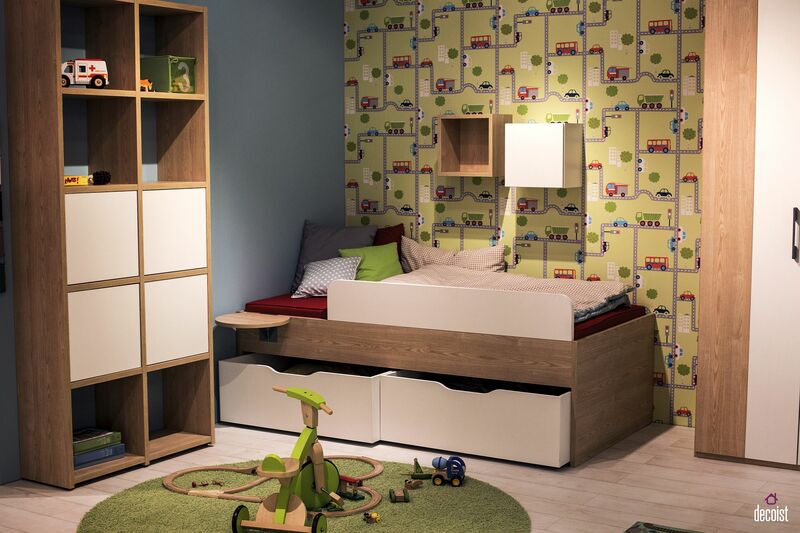 Kids’ bedroom furniture can be amazingly varied, leaving you with endless choices. 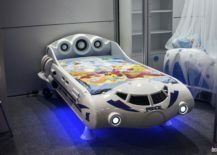 From Changing Tables to Race Car Beds! 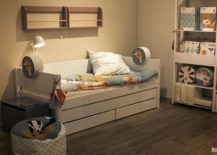 The first bedroom of your little one is a special place indeed. 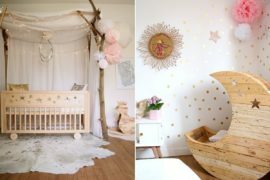 It all starts with the beautiful nursery that is full of color, personality and cozy warmth. 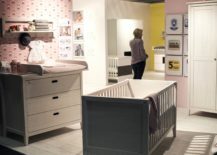 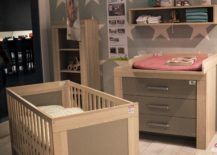 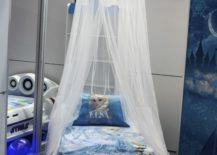 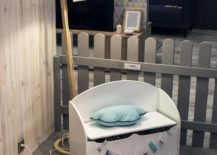 The colors in the nursery might not mean much early on, but experts suggest that they influence both sleep pattern of tiny tots and also their activity. 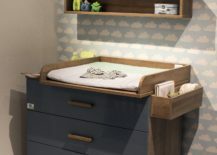 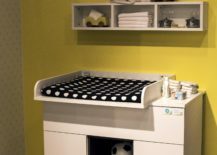 A balance between neutral hues and bright tones is a great choice and a changing table that matches the crib goes a long way in completing this charming nursery. 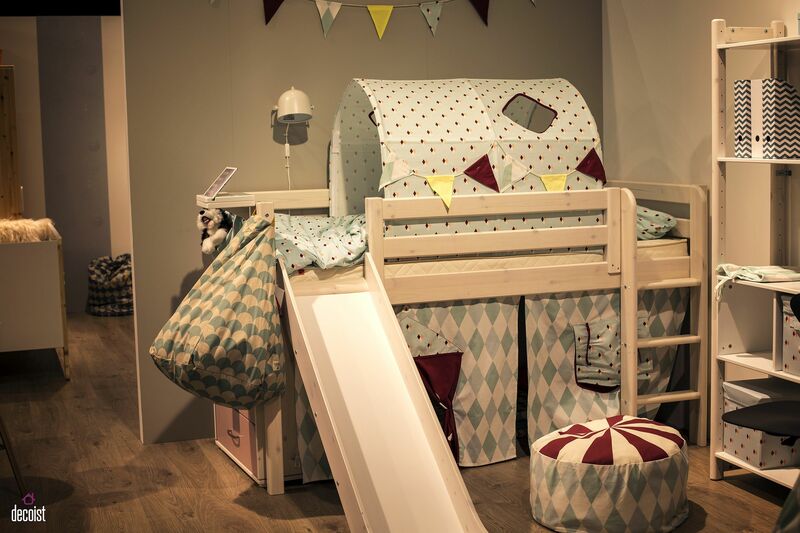 Moving beyond the nursery and into the ultra-cute world of bedrooms for the little ones, the choice for bed seems simply endless. 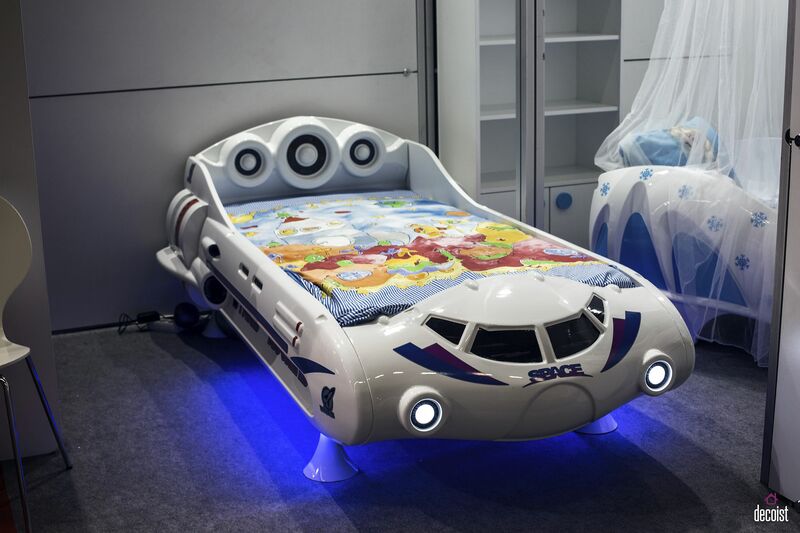 Every boy wants a cool race car bed or one that is shaped like a spaceship and every little girl wants to feel like a princess in her bedroom! 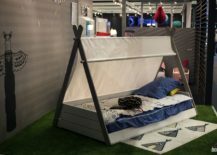 If you want to move away from the usual, then try out beds with teepee-style frame or those with shabby chic panache in pink. 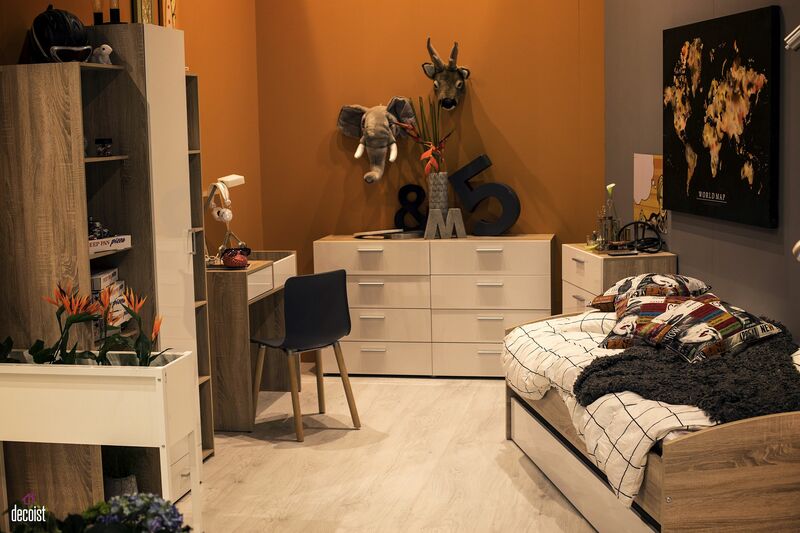 Remember to choose the theme before you start shopping for the room, as it narrows down your choices immensely. 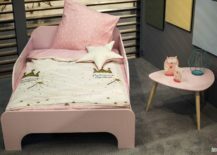 Girls’ bed in pink and matching side table are perfect for your little princess! 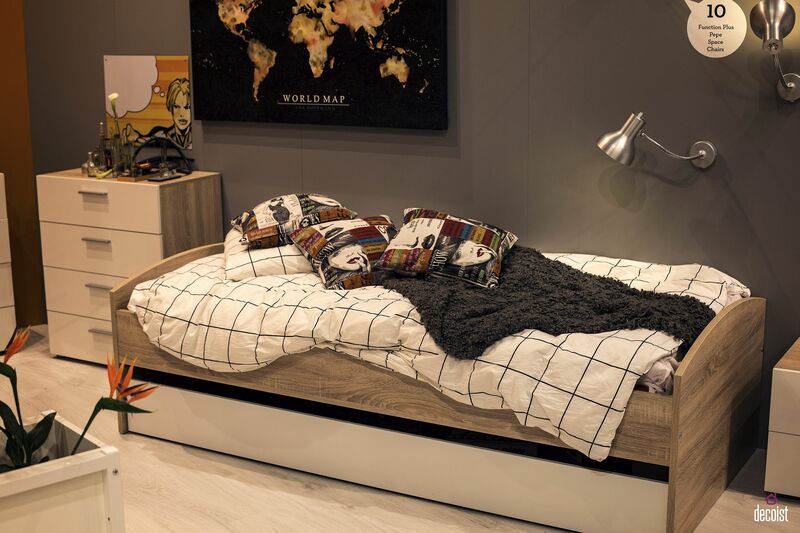 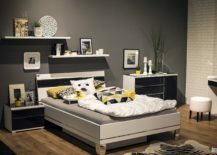 Space is often the biggest constraint when planning for that great kids’ bedroom and a stylish trundle bed can fix this issue with ease. 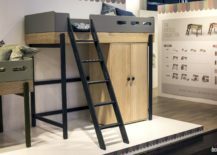 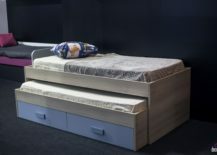 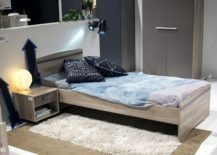 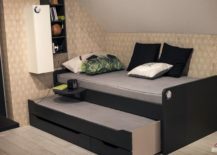 Trundle beds with storage options take this a step further and combing the space-savvy feature of bunk beds with built-in storage. 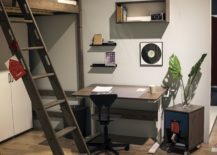 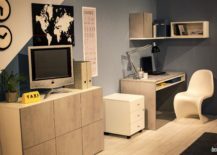 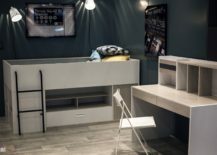 Those short on square footage can also opt for versatile loft beds that allow you to convert the space underneath into a study area. 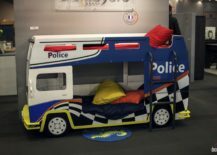 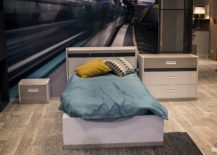 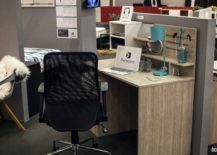 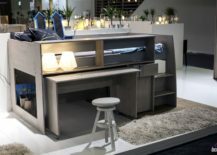 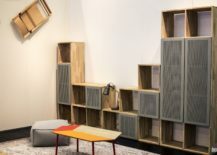 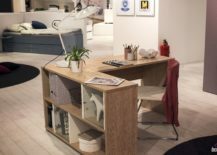 Designs from the likes of and dashing bunk beds with workstation on wheels underneath from Demeyere make a big difference indeed! 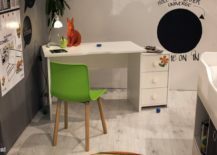 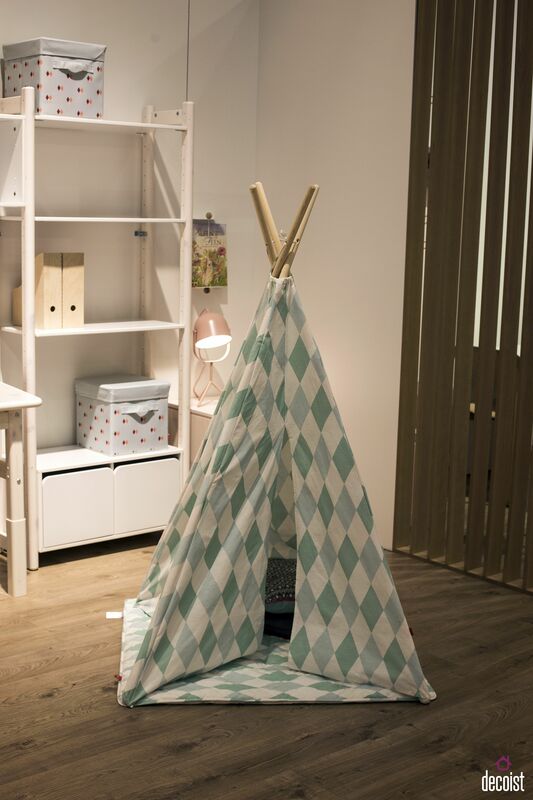 It is one thing shopping for the kids’ room and a whole different affair planning for the tween and teen bedroom. 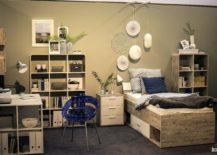 You want to choose décor that is still chic and colorful and yet allows the room to easily transition into an adult space with time. 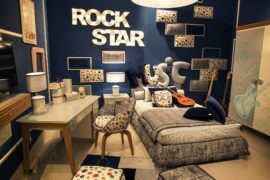 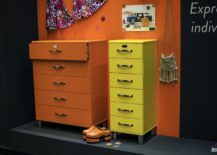 Shades of gray along with blue and orange are a popular choice in the teen boys’ bedroom while the teen girls’ room can embrace styles such as shabby chic and Hollywood Regency with ease. 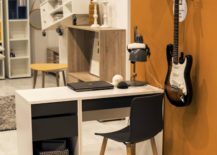 Black is another color that looks super-cool in the sophisticated teen room. 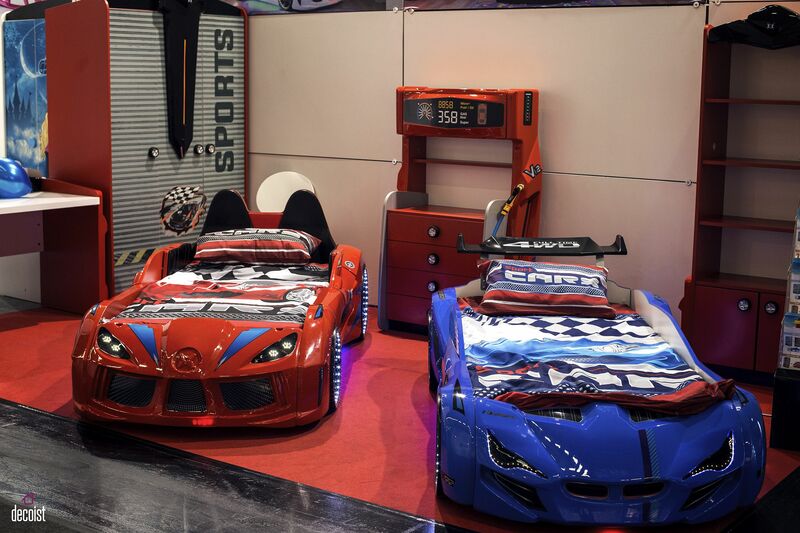 RELATED: Framed Jerseys: From Sports-Themed Teen Bedrooms To Sophisticated Man Caves! 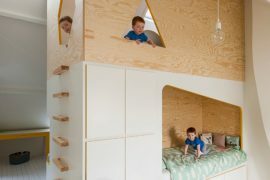 Once you have the bed, color scheme and theme of the kids’ room sorted it is time to start thinking about shelf space. 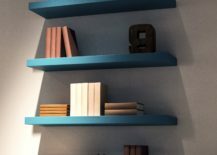 Chances are, you will need plenty of it! 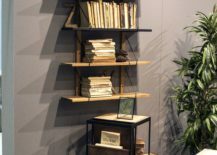 A good start is to combine large, closed cabinets and nightstands with breezy, floating shelves to usher in a balance between lovely displays and effective storage. 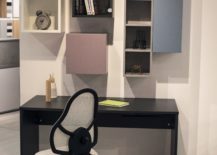 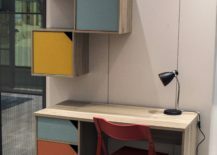 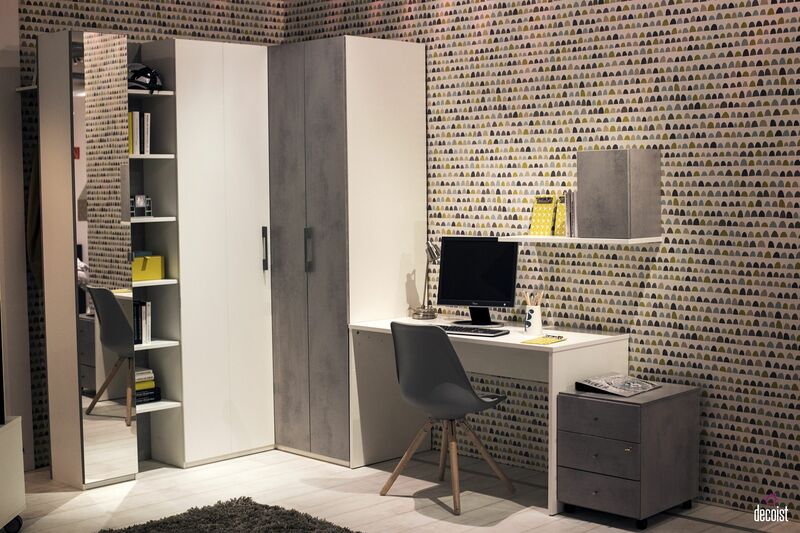 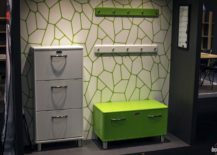 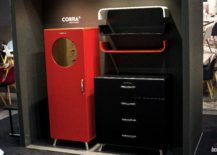 Bespoke wardrobes also allow you to utilize even those corners while wall-mounted modular units make most of vertical space on offer. 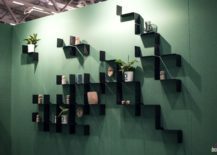 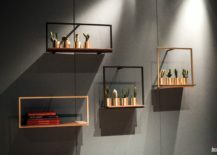 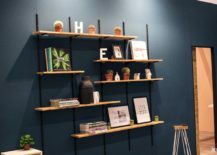 Think beyond the usual with zig-zag and geo shelves like the ones from Duraline to create visual contrast along with ingenious shelf space. 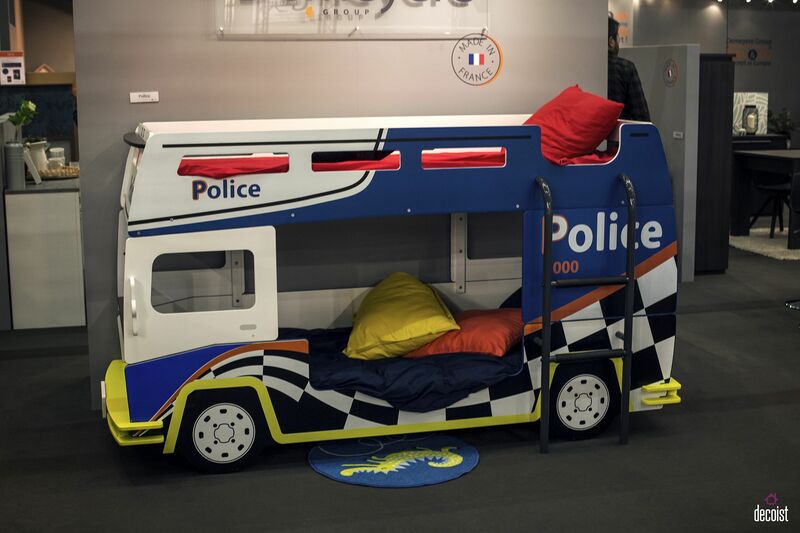 It is not all serious work when it comes to decorating kids’ spaces. 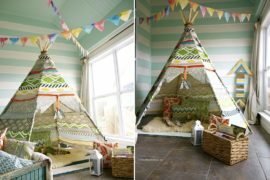 If you wish to combine the playroom along with the bedroom, then a stylish teepee in the corner can do wonders indeed. 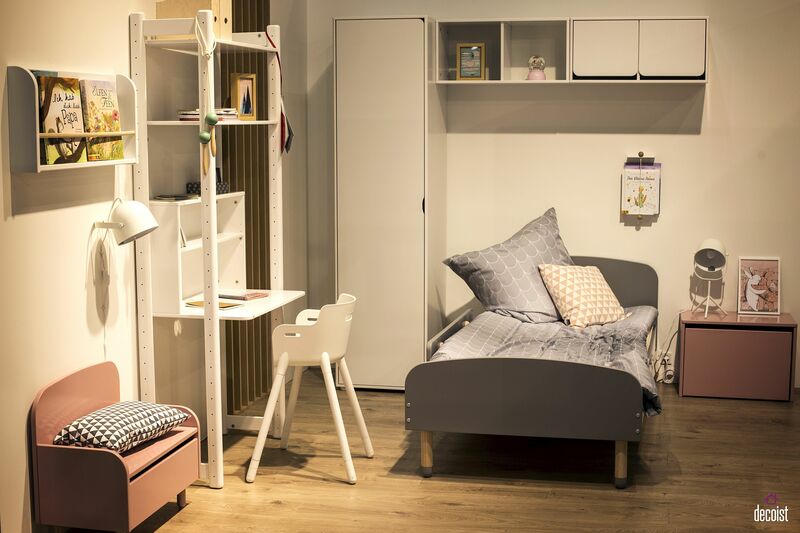 Half-walls that act as smart shelves, nightstands on wheels that can be moved around with ease and homework stations that can be tucked away – all of them come together to create the perfect kids’ bedroom.